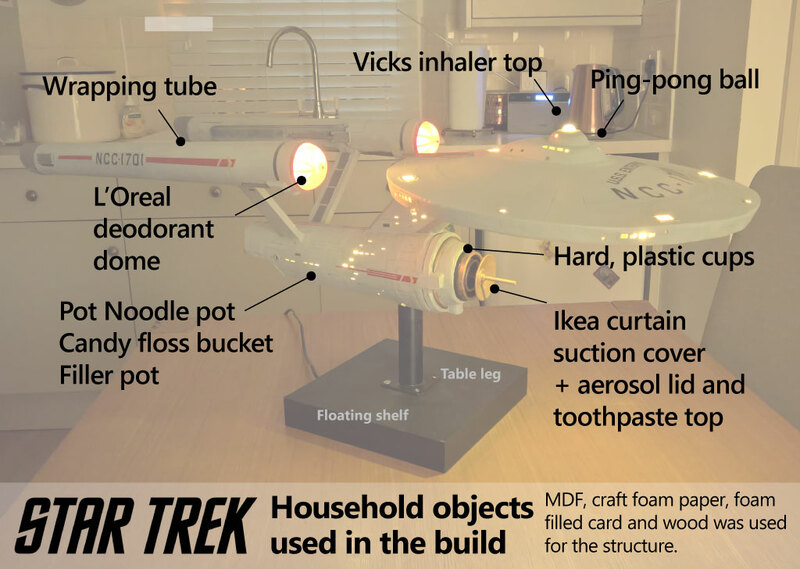 A few photographs of my beloved USS Enterprise model, which is residing above the cupboard in the kids’ room. 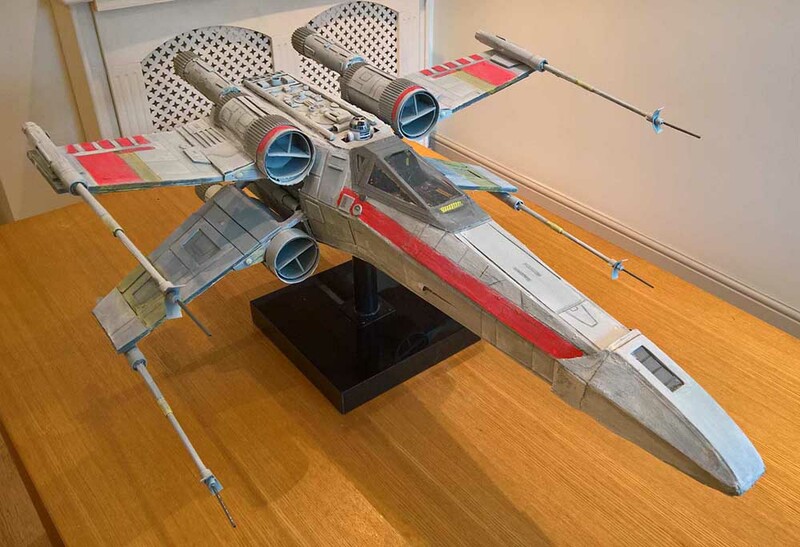 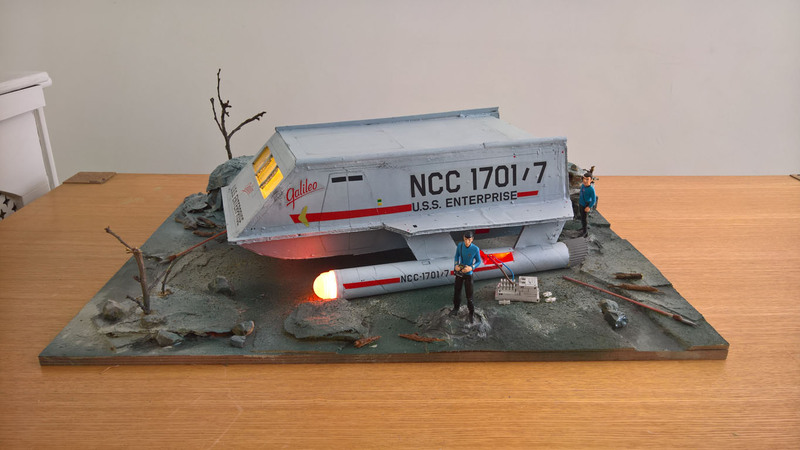 The model was constructed over a course of a few months, which involved internal lighting, using eBay sourced LEDs, as well as making sure there was no light leakage. 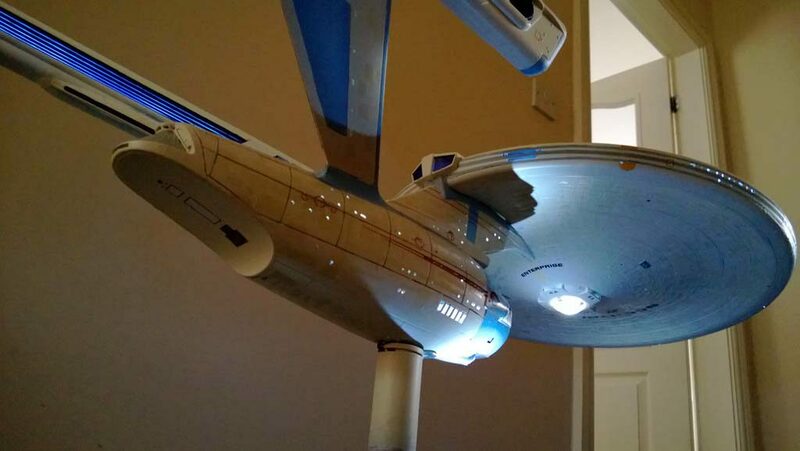 The power source was purchased locally and all the lights still seem to be working.